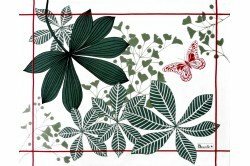 The Great Palms tablecloth and table linen collection by Beauvillé featuring watergreen palm leaves and pink butterflies will make an elegant and enchanted summer table. 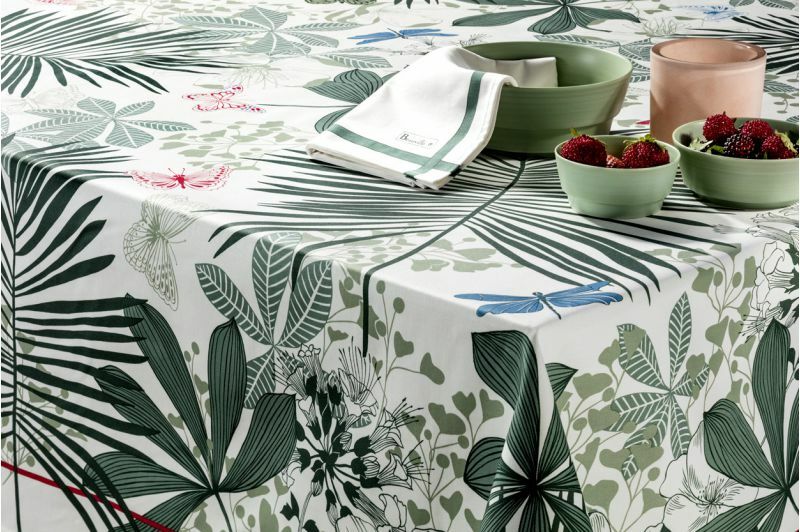 Made in France, the Great Palms Collection of table linens is made of 100% satin cotton. 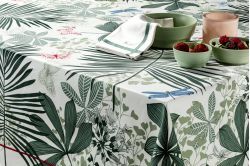 It comes in a beautiful watergreen or dark grey for a modern look and will highlight your table with a unique French chic!